a·sleep [? sl?p] adjective 1. not awake: in or into a state of sleep After tossing and turning for some hours I eventually fell asleep. 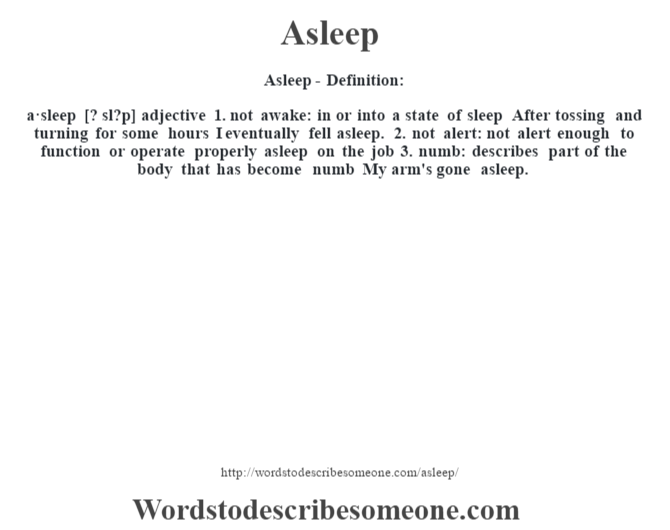 2. not alert: not alert enough to function or operate properly asleep on the job 3. numb: describes part of the body that has become numb My arm’s gone asleep.